Peter Thiel, the Silicon Valley billionaire known for his libertarian politics, is leaving the Bay Area after four decades and stepping back from tech due in part to his dissatisfaction with the industry's liberal politics. Citing what they called Silicon Valley's "sclerotic" culture and "conformity of thought," a source close to Thiel told CNNMoney that the investor would soon move to Los Angeles, where he will "focus on a number of new projects including creating a new media endeavor." "L.A. is a better place to do that," the source said. "L.A. is also less out of touch and it's a better place to connect with the rest of the country." 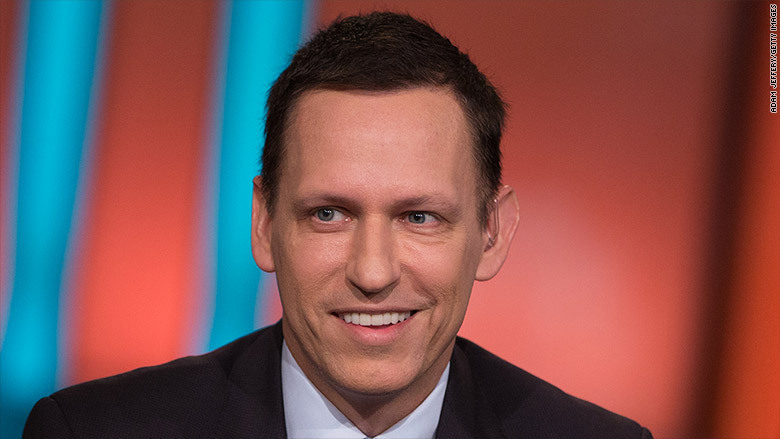 Thiel will also move his investment firm Thiel Capital and his Thiel Foundation to Los Angeles, the source said. Founders Fund, where he is a general partner, will remain in San Francisco. Thiel is also considering resigning from the board of Facebook, according to the source. Thiel, a co-founder of PayPal, has long been outspoken about his politics. But he became a lightning rod in the community and nationally after backing Donald Trump's presidential bid and then joining Trump's transition team. The Wall Street Journal, which broke the news of Thiel's move, reported Thursday that Facebook CEO Mark Zuckerberg even asked Thiel to consider resigning from his company's board last summer. This came after Netflix CEO Reed Hastings, another Facebook board member, reportedly criticized what he called Thiel's "catastrophically bad judgment" in supporting Trump. Since then, the source close to him said, Thiel has grown more aware of what he views as liberal intolerance. "Peter thinks the same network effects that concentrate talent in the Valley (adding value) are leading to conformity of thought (limiting the generation of new ideas)," the source said in an email. "SF is still important but the most exciting future tech developments may come outside of it. Peter also thinks the Valley has become too mono-cultural and the cost of living is making the whole area more sclerotic, less vital." The source would not provide any further detail on the new media endeavor Thiel plans to work on in Los Angeles, nor any of the other business opportunities he plans to pursue.